I often use dips as the basis of packed lunches – research has shown that children are more likely to eat veggies if they have something to dip them in, and I have certainly found it true with my kids. The dip that I served today is a middle-eastern one based on roasted eggplants. 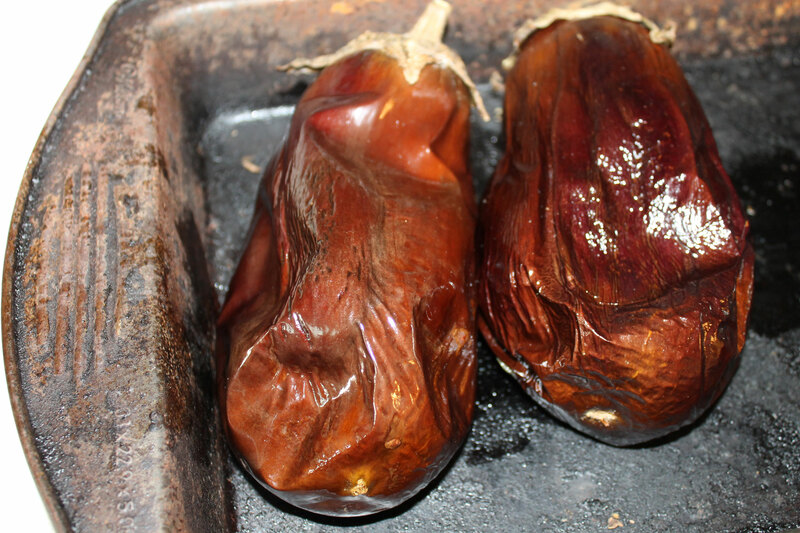 Roasting the eggplant makes them soft and concentrates the flavour. And when pureed with a few other ingredients this results in a smooth, creamy but mild tasting dip. 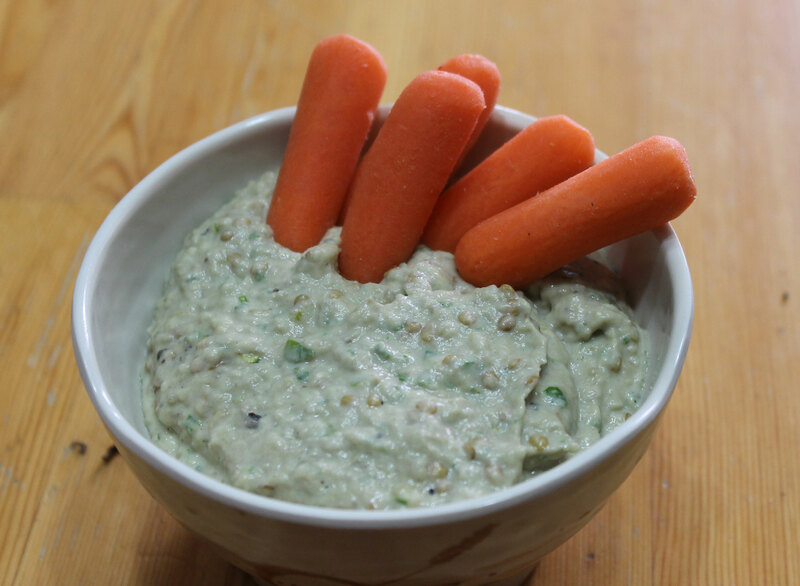 This recipe is great for dipping veggies in for quick lunches. It would also make a tasty appetizer and could also be used as a spread for sandwiches and roll-ups. Because eggplant is a nightshade, this is an AIP stage 4 reintroduction. When reintroducing foods on the AIP, I recommend this guide. Preheat the oven to 350F/180C. Take your eggplants and rub them with a little oil, then place them in the oven. Roast for 45 minutes until they are soft and squishy. They will look wrinkled and quite unappetizing at this point. Next you cut them in half and scoop out all the soft flesh, leaving the skin behind. 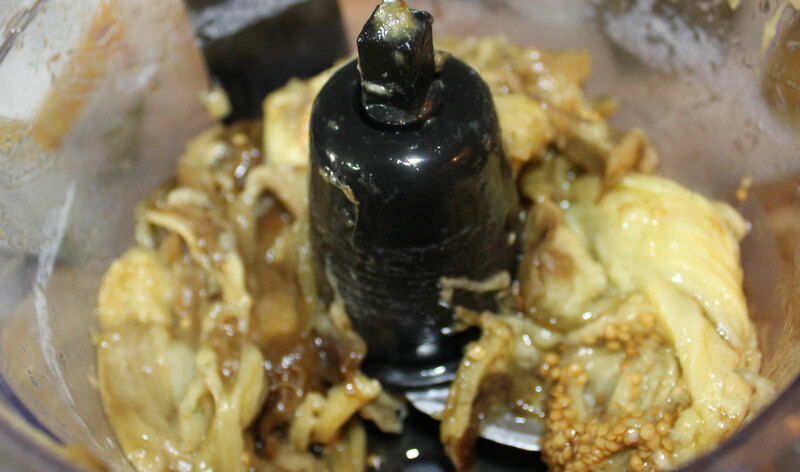 Put all the flesh, seeds included, in a food processor. You can see why roasted eggplant is sometimes referred to as “eggplant caviar”. 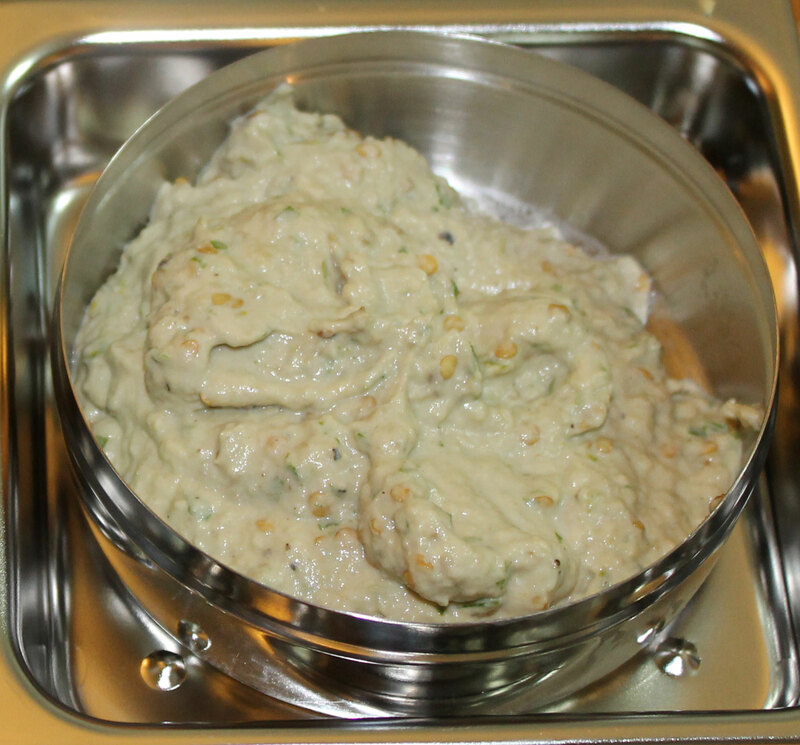 Now add all the remaining ingredients to the food processor and pulse until it is all chopped and the resulting dip is smooth and creamy. Transfer to a dish and store in the fridge until required. 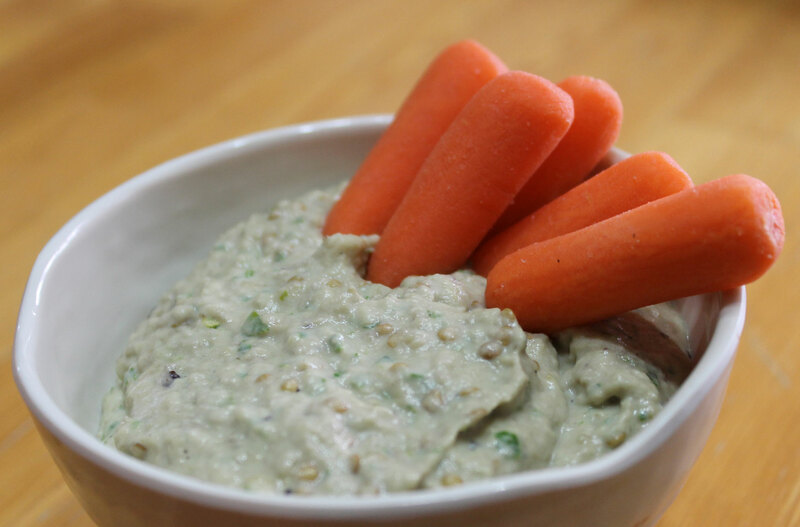 Serve as a dip for veggies or paleo-crackers, as a spread in a sandwich or roll-up, or even as a sauce to top burgers. I served 1/2 a cup of this in the big dipper for everyone’s packed lunch along with baby carrots, sliced yellow pepper and baby cucumber for dipping. This entry was posted in Recipes, stage 4 reintroduction and tagged aubergine, Dip, eggplant, gluten-free, grain-free, healthy, low carb, Middle-eastern, packed lunch, paleo, primal, spread, Veggies. Bookmark the permalink.